Beginning in 1803, actress Mary Anne Clarke (1776-1852) became the mistress of Frederick Augustus, Prince, Duke of York and Albany (1763-1827), the second son of King George III. Although he provided a mansion and generous allowance, she wanted more. Clarke used her influence with Frederick (who was Commander-in-Chief of the British Army) to obtain promotions for anyone who paid her price. In January 1809, the scheme was made public and by March, Frederick was forced to resign. Isaac Cruikshank and his 16-year-old son George worked together to caricature Mary Anne and Frederick, publishing their print on April 24, 1809. 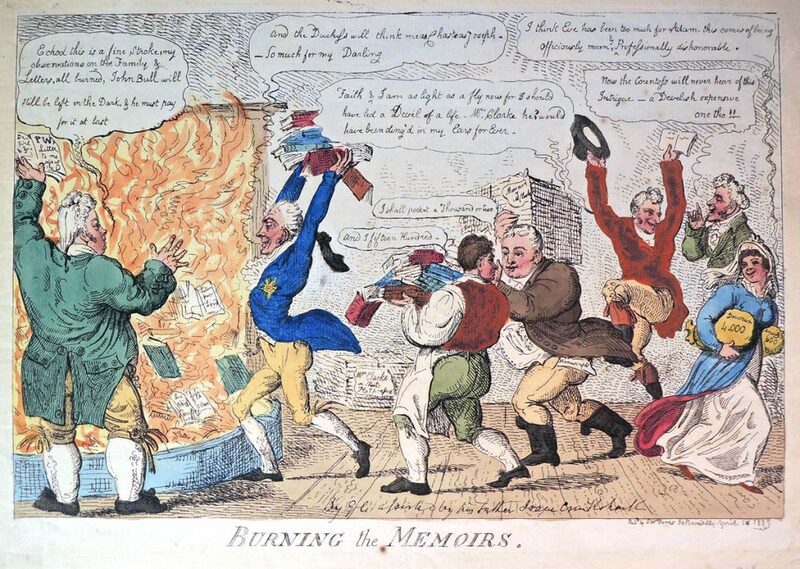 Thomas Rowlandson beat them by a few days, with two caricatures: Burning the Books, on April 21, and A Piece Offering!! on April 22. 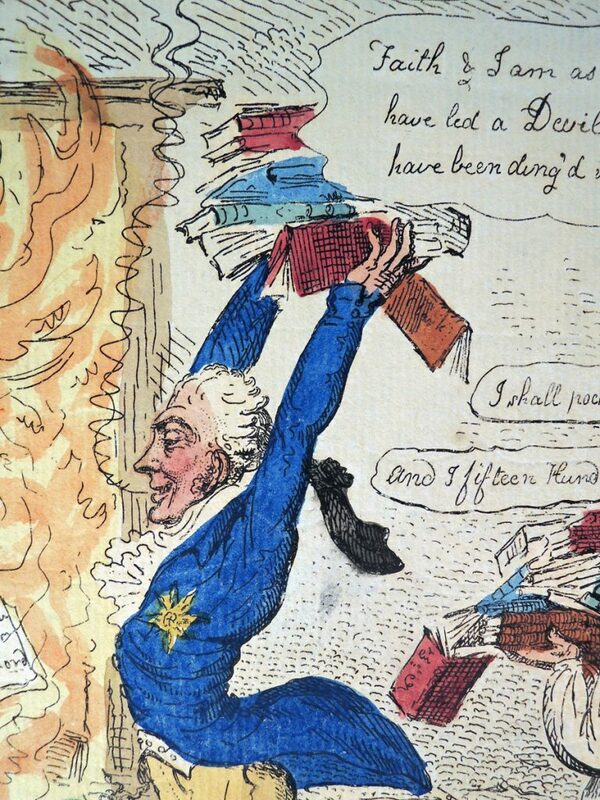 The Graphic Arts Collection holds at least 32 prints on the controversy. Clarke, seen at the far right, was paid a large sum to keep her diaries secret but in the end, could not keep quiet. This entry was posted in prints and drawings on November 25, 2016 by Julie Mellby.